In the premortal spirit world, we rejoiced to learn of Heavenly Father’s plan of salvation. The Fall of Adam and Eve was part of Heavenly Father’s plan. Jesus Christ offered Himself as a sacrifice to save us from the Fall and from our sins. The driving of the nails into his hands and into the Savior’s feet was the least part of his suffering. We get into the habit, I think, of feeling, or thinking that his great suffering was being nailed to the cross and left to hang there. Well, that was a period in the world’s history when thousands of men suffered that way. So his suffering, so far as that is concerned, was not any more than the suffering of other men who have been so crucified. What, then, was his great suffering? I wish we could impress this fact upon the minds of every member of this Church: His great suffering occurred before he ever went to the cross. 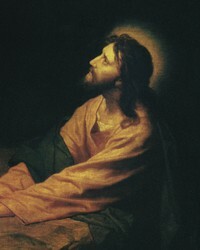 It was in the Garden of Gethsemane, so the scriptures tell us, that blood oozed from every pore of his body; and in the extreme agony of his soul, he cried to his Father. It was not the nails driven into his hands and feet. Now do not ask me how that was done because I do not know. Nobody knows. All we know is that in some way he took upon himself that extreme penalty. He took upon him our transgressions, and paid a price, a price of torment. Building on the foundation of the Atonement of Jesus Christ, we work out our salvation during mortality. First, we must have faith in the Lord Jesus Christ; we must accept him as the Son of God; we must put our trust in him, rely upon his word, and desire to gain the blessings which come by obedience to his laws. All people will receive the blessing of resurrection through the Atonement of Jesus Christ. The faithful will inherit eternal life with their families in the presence of Heavenly Father. Some men inherit wealth through the industry of their fathers. Some men are through inheritance raised to worldly thrones, to power, and position, among their fellow men. Some seek for the inheritance of worldly knowledge and renown through the application of their own industry and perseverance; but there is one inheritance which is worth more than all, it is the inheritance of eternal exaltation. As you read the journal entry in “From the Life of Joseph Fielding Smith,” think of a time when you found comfort in your testimony of the plan of salvation. How might you help a family member or friend receive such comfort? President Smith taught that “we must not lose sight of the fact that [the Fall of Adam and Eve] brought blessings” (section 2). Why do you think it is important to remember this truth? What are some blessings you have received as a result of the Fall? In section 3, how does President Smith’s example of a man falling into a pit relate to our lives? Reflect on how the Savior has rescued you through His Atonement. What do President Smith’s words in section 4 suggest about the purpose of our life on the earth? What has the Lord given us to help us pass safely through this time of testing? How might you help someone understand President Smith’s declaration in section 5 that “death is just as essential as birth”? How has the doctrine of resurrection influenced your life? In what ways is worldly wealth different from the “eternal inheritance” we can receive through the plan of salvation? (See section 6.) How can an understanding of these differences help us prepare for eternal life? “To help us teach from the scriptures and the words of latter-day prophets, the Church has produced lesson manuals and other materials. There is little need for commentaries or other reference material” (Teaching, No Greater Call: A Resource Guide for Gospel Teaching , 52). In Joseph Fielding Smith Jr. and John J. Stewart, The Life of Joseph Fielding Smith (1972), 117–18. “To the Saints in Great Britain,” Ensign, Sept. 1971, 4. In “Pres. Smith Tells of Parents’ Duty,” Church News, Apr. 3, 1971, 10. Address at the Logan Utah Institute of Religion, Jan. 10, 1971, 3; unpublished manuscript. “Is Man Immortal?” Improvement Era, Feb. 1916, 318; see also Doctrines of Salvation, ed. Bruce R. McConkie, 3 vols. (1954–56), 1:58. Elijah the Prophet and His Mission and Salvation Universal (1957), 65–66. In Conference Report, Oct. 1966, 59. 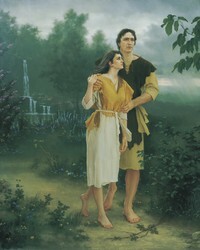 “Principles of the Gospel: The Infinite Atonement—Redemption, Salvation, Exaltation,” Deseret News, Church section, Apr. 22, 1939, 3; see also Doctrines of Salvation, 1:115. “The Atonement,” Deseret News, Church section, Mar. 2, 1935, 7; see also Doctrines of Salvation, 1:122. Elijah the Prophet and His Mission and Salvation Universal, 79–80. Seek Ye Earnestly, comp. Joseph Fielding Smith Jr. (1970), 118–20. “Principles of the Gospel: The Infinite Atonement—Redemption, Salvation, Exaltation,” 5; see also Doctrines of Salvation, 1:123. Elijah the Prophet and His Mission and Salvation Universal, 80–81. Elijah the Prophet and His Mission and Salvation Universal, 81. “Purpose and Value of Mortal Probation,” Deseret News, Church section, June 12, 1949, 21; see also Doctrines of Salvation, 1:132. “The Plan of Salvation,” Ensign, Nov. 1971, 5. “I Know That My Redeemer Liveth,” Ensign, Dec. 1971, 26. In Conference Report, Apr. 1965, 11. In Conference Report, Apr. 1964, 107–8. “Purpose and Value of Mortal Probation,” 21; see also Doctrines of Salvation, 1:69. In “Services for Miss Nell Sumsion,” Utah Genealogical and Historical Magazine, Jan. 1938, 10–11. “What Is Spiritual Death?” Improvement Era, Jan. 1918, 191–92; see also Doctrines of Salvation, 2:216–17. Answers to Gospel Questions, comp. Joseph Fielding Smith Jr., 5 vols. (1957–66), 5:103; italics removed. “The Law of Chastity,” Improvement Era, Sept. 1931, 643; see also Doctrines of Salvation, 2:85–86. The Way to Perfection (1931), 21–22. Sealing Power and Salvation, Brigham Young University Speeches of the Year (Jan. 12, 1971), 2. Personal correspondence, quoted in Doctrines of Salvation, 2:287; italics removed. In Conference Report, Apr. 1942, 26; see also Doctrines of Salvation, 2:175. The Way to Perfection, 23. In Conference Report, Apr. 1922, 61–62. “Let the Spirit of Oneness Prevail,” Ensign, Dec. 1971, 136.